The P60 summarises an employee’s total pay and deductions for the year. 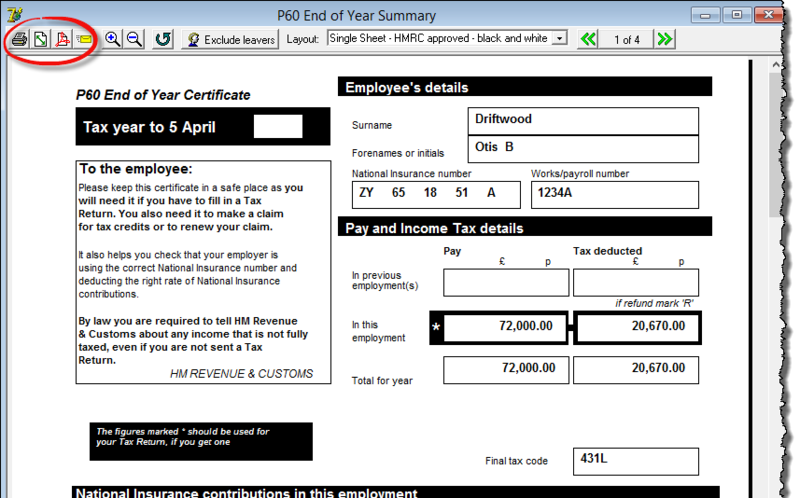 You need to provide a form P60 (either paper or electronic) for each employee on the payroll who was working for you on the last day of the tax year (5 April). The employee must receive their P60 no later than 31 May. 1) – First ensure that you have the correct data file open. You can check this by looking at the title bar at the top of the screen, which should display your employer name followed by the year (click ‘File – Open’ if you need to select a different file or wish to produce P60s for a previous year). 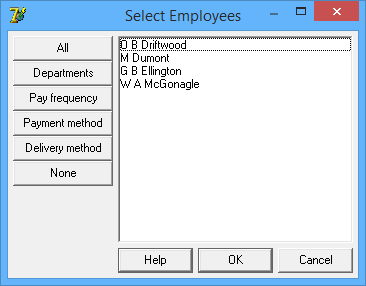 2) – Click ‘Forms – End of year P60’ from the main menu, and select ‘All’ to produce a P60 for each employee. 3) – Click on the button at the top of the P60 marked ‘Exclude Leavers’ – you will then be left with a P60 for each employee who was with you at the end of the tax year. 4) – You can then either print, save as pdf or email the P60s as appropriate. – There is no need to buy special stationery, as P60 layouts produced by Payroll Manager have been approved by HMRC for printing on to plain paper. – If you prefer to print directly onto HMRC colour forms you can order them FREE OF CHARGE from the Online Order page of HMRC website. To print onto these forms click on the button on the toolbar and select the option ‘Print to a pre-printed form‘. – Some third party stationery suppliers, such as FormFactory produce sealed security P60 forms, which Payroll Manager will print on to.